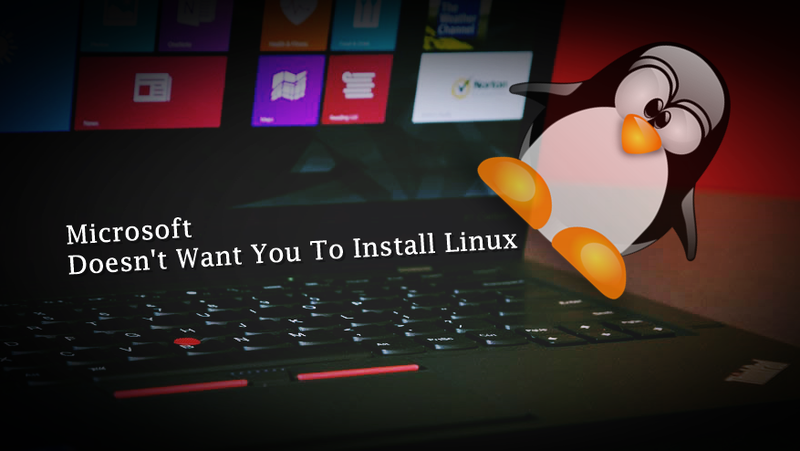 Past few months, We have seen Microsoft opened the source code of a lot of its projects, convincing people that they loves Linux. But it also seems that Microsoft isn’t really a big supporter of Linux. A Redditor has expressed his inability to install Linux Operating System on his Yoga 900 ISK2 Ultrabook. Lenovo has said that Yoga 900 runs a Signature Edition of Windows 10 Home installed and it’s locked per our agreement with Microsoft. Signature Edition PCs are different from other systems because it is carefully and meticulously configured by Microsoft to run Windows 10 with no bloatware, paid promotional web shortcuts, or other pre-installed apps, for providing better performance. But besides bloatware and other pre-installed apps, Microsoft don’t allow you to install Linux (or any operating system) on it. This news is not a rumor as a Reddit user BaronHK reported that he found it impossible to install Linux on the Signature Edition Lenovo Yoga 900 ISK2 UltraBook because Microsoft has locked the SSD in a proprietary RAID mode that can only be read by Windows. “This system has a Signature Edition of Windows 10 Home installed. It is locked per our agreement with Microsoft,” a Lenovo employee responded to a comment made by BaronHK about the issue. This suggestion could be Microsoft decision, while other believes this issue could be related how system has been configured by Lenovo itself. But for now it is confirmed that Linux couldn’t be installed on you Lenovo laptop. But Microsoft and Lenovo still have to officially comment on this restriction about Signature. Paul Thurrott Reported, Microsoft isn’t blocking Linux installation to it’s laptops, it consider this as a conspiracy.